Estonian language proficiency examinations are used to test the knowledge of Estonian as the official language. Proficiency examinations are intended for those who wish to apply for citizenship of the Republic of Estonia and/or in whose position it is required to prove the level of proficiency in the Estonian language. Professional language skills are measured and national exams are organized in Estonia on four levels: Estonian language level A2, B1, B2, and C1. The language proficiency requirement is determined on the basis of the type of civil servant, the basic category of offices, the requirements for the certification of the basic category of offices, the language proficiency requirements stated in professional standards, and the nature of the employee’s work. The determination of the level of compulsory language proficiency of individuals is based on the language proficiency levels described in the European Framework of Reference for Languages. In order to become a citizen of the Republic of Estonia, the Estonian language proficiency level must be at least B1. A person of at least 65 years of age applying for Estonian citizenship is exempted from the requirements of clause 8 2) 4) of the Citizenship Act (being able to draw up a simple text on a familiar topic or on a topic of interest to him or her), that is, the written test. If a person has submitted a relevant application, he or she must pass three parts of the examination: the listening, reading and speaking part. 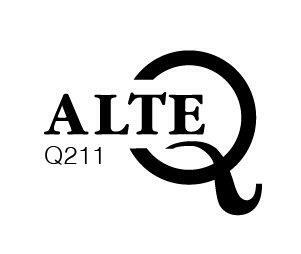 The Estonian language proficiency examinations have been awarded the Association of Language Testers in Europe ALTE Quality Label. In order to receive the Q-mark, the examinations being audited must meet 17 minimum standards, covering the principles of test construction, administration and logistics, the marking and grading process, statistical analysis and communication with stakeholders. A rigorous audit was performed in 2014. The audit passed and the Q-mark received prove that the Estonian language proficiency examinations are developed and conducted in compliance with good testing practice. The examinations are fair and measure what they are supposed to measure, and the examination results can be considered reliable. The ALTE Q-mark of the Estonian language proficiency examinations is valid for five years. The requirements for the proficiency of the Estonian language, its assessment, and control are laid down in the Language Act. The structure and implementation of Estonian language proficiency examinations have been approved by a regulation of the Ministry of Education and Research. The language proficiency levels required for the position are established by a regulation of the Government of the Republic.